Join us on February 27th for the kick-off of SIWA’s new Personal and Professional Development Series! We are refreshing and re-launching the WWN (Working Women’s Network) based on member feedback. We are now pleased to invite you to this special kick-off Coffee Morning event, where you can get a taste of the kinds of workshops, speakers and networking that the new WWN will offer you on a monthly basis. Our key note speaker will be joining us all the way from Brussels, Belgium! 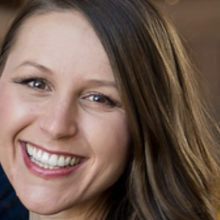 Stephanie Gheysen is an accredited Executive Coach with a master thesis: ‘Lost (and found) in Translation: a study of the trailing spouse upon returning home.’ A former Seoul resident and SIWA member, Stephanie has her own coaching practice (S’SENS) to accompany women in their international journey. The topic of Stephanie Gheysen’s Key note speech for SIWA members will be: “Good morning, who are you?” The first step towards empowering yourself is to know yourself. After Stephanie’s empowering key note speech, you will have the chance to participate in one 45-minute mini-workshop where you can explore a personal and professional development topic. Please note that this exciting Personal and Professional Development Kickoff is an exclusive members-only event. This event is taking the place of our traditional February Enrichment Showcase. Don’t miss this enriching opportunity to grow personally and professionally at the guidance of these two dynamic and accomplished women. You may find both Stephanie and Luciane’s bios below. As always, coffee and refreshments will be served during the event. There will be opportunities for networking during and after the event. Please also note: After this special kick-off event, the monthly WWN personal and professional development events will be held at different locations and different times to offer our members maximal opportunity to attend. You spoke. We listened. Thank you for your feedback and we look forward to offering you an exciting WWN Series! 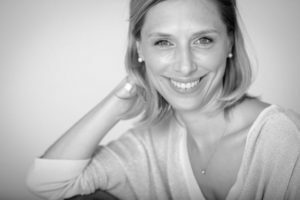 Accredited Executive Coach and part-time professor in Management and Leadership at the EDHEC Business School in France, Stéphanie Gheysen has firstly been trailing for 20 years across 3 continents and 6 countries. During that time, she accumulated professional experience in SMEs (Belgian-Luxembourg Chambers of Commerce), Multinational Corporation (LVMH) and entrepreneurship. Graduated from INSEAD Business School in Change Management with a master thesis: ‘Lost (and found) in Translation: a study of the trailing spouse upon returning home.’ She has recently launched her own coaching practice S’SENS, to accompany women in transition across countries, across jobs and across life. 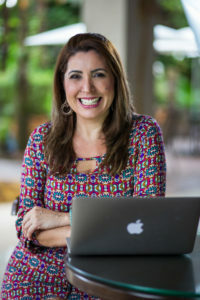 Luciane holds an MBA from ESPM (Escola Superior de Propaganda e Marketing) as well as certifications from Columbia University, University of Washington and Amana-Key in image management, public speaking, leadership training and sustainability. She is a LinkedIn Expert and social media advisor who works to help people and business achieve strategic results on LinkedIn. She is a communication and advocacy professional with 20 successful years of experience. She specializes in supporting professionals to create a LinkedIn All Star Profile and enhance their social media presence. She is also the founder of Be In Digital, a start-up focused on e-learning. Enrichment Showcase offers members a chance to meet others who are willing to share their expertise in various areas of interest.